A group of five friends met last week at a rooftop restaurant/bar I discovered recently in the Mission district of San Francisco. To get there, you have to pass a “bouncer” on the street, walk through the hallway of a building, and take an elevator to the “PH” aka Penthouse. El Techo de Lolinda is a popular spot for food and drinks. Many a time, there is a line to get up there, but luckily for us we got there early and didn’t have to wait. The food is set up as tapas where you can share. We enjoyed ordering our food a little at a time throughout the evening. Aside from our cocktails, the first things we ordered were the chips and guacamole and the pollo frito. The servers were really nice and when one noticed that we were out of chips and still had guacamole, he brought us more chips without us requesting it. 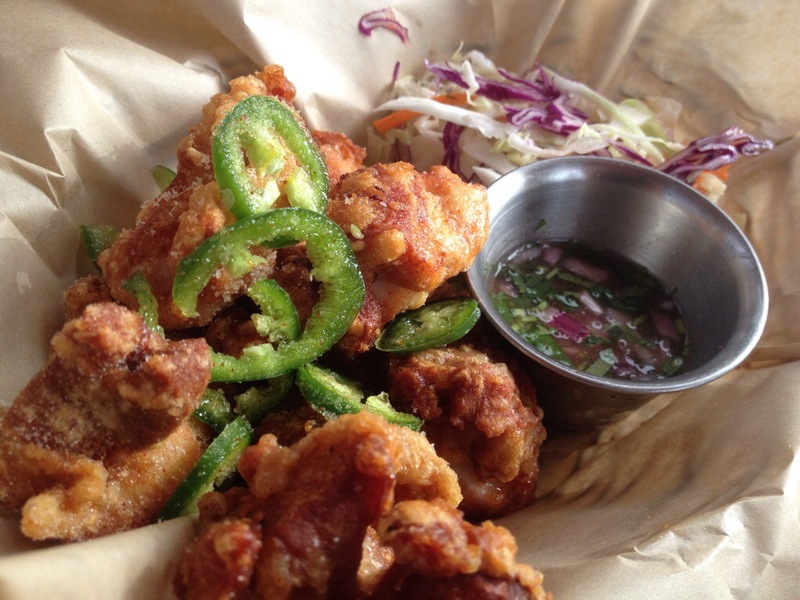 The pollo frito is fried chicken thigh pieces with jalapeño. They were temperature hot, crispy, juicy, and had a little hint of sweetness and spicy kick. Later on, we ordered a second helping because it was that good. 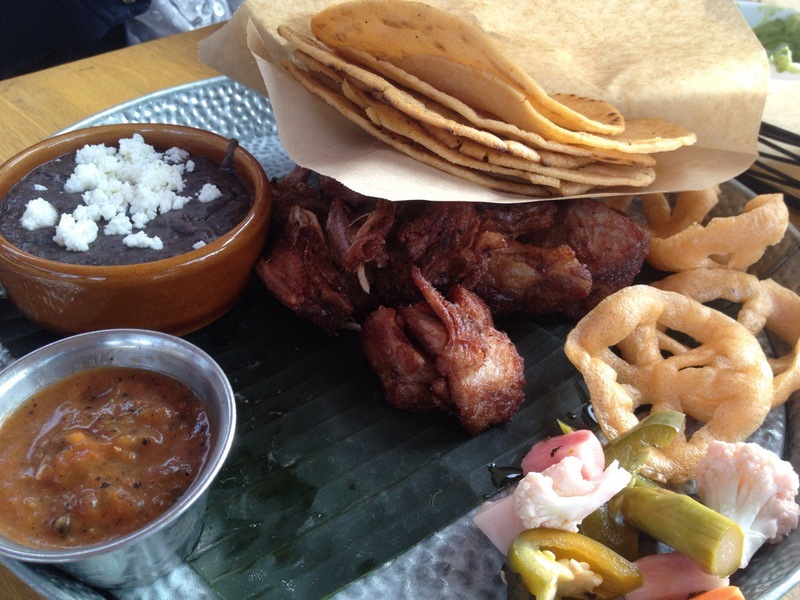 El Techo has chicharrones on their menu that you can order as a half pound, full pound, or one and a half pounds. We ordered a full pound of roasted and fried chunks of pork shoulder. It also came with tortillas, black beans, and other condiments. The chicharrones were delicious. It was extremely tender and many of the pieces included some fat which made it all the better. 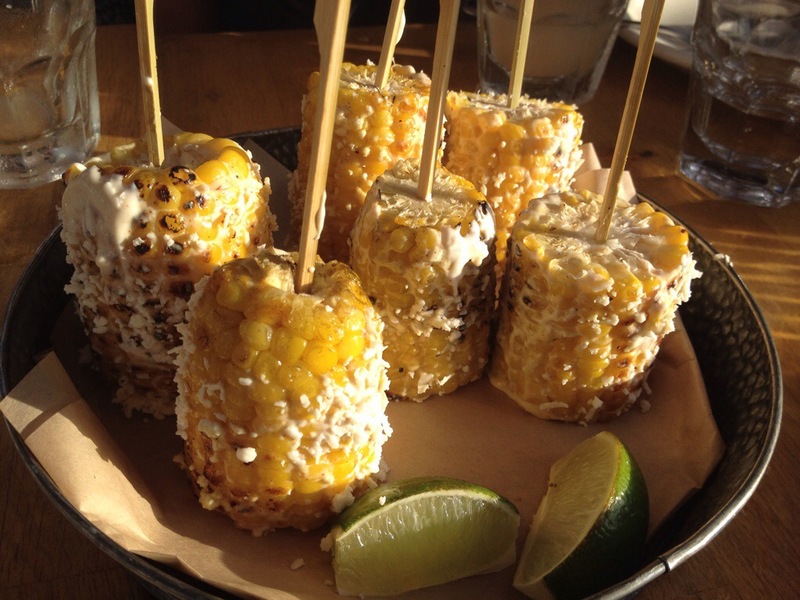 We ordered some elote or grilled corn with sour cream, chili, and lime. It always feels like summer when you get to eat fresh corn. It’s also worth having kernels stuck in your teeth when it comes to Mexican corn. We were not done with the grill. 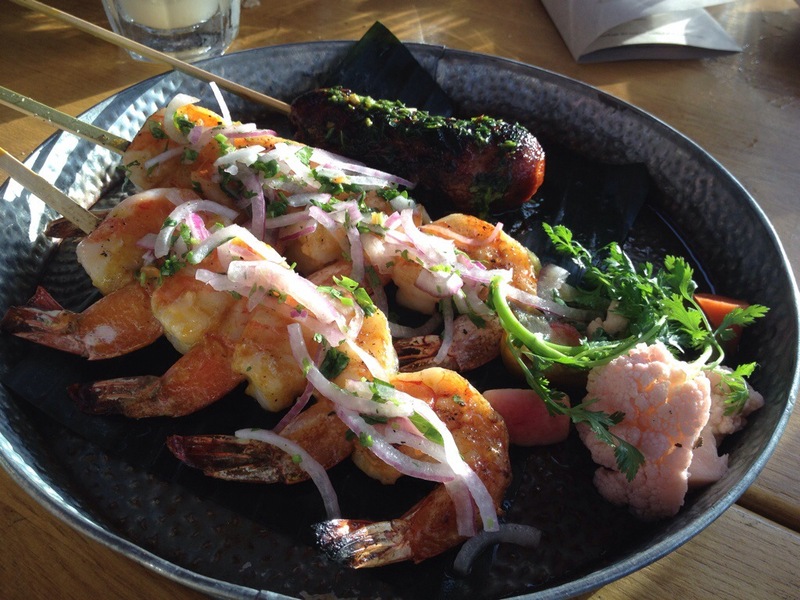 El Techo allows you to order a mix and match of various skewers in different amounts. We ordered two shrimp skewers and one chorizo. These were really nice to share. The shrimp was cooked well and the homemade chorizo had great flavor. We shared two desserts. 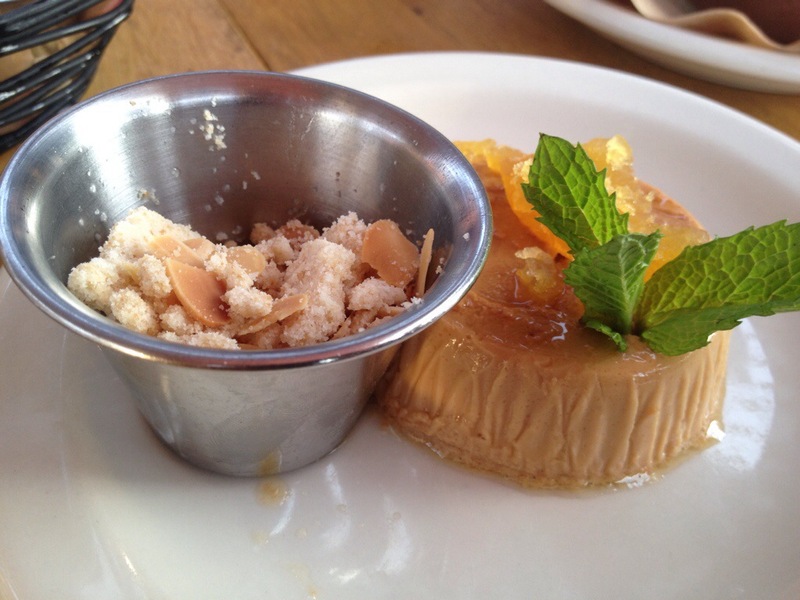 The first one was the dulce de leche flan with passion fruit jelly and almond streusel. Our party had a nut allergy so had to have the streusel on the side. I was quite full and just had a taste. The flan was a bit dense and I have had better. Maybe if it was better I would have had another bite. The second dessert we ordered was the chocolate ganache. 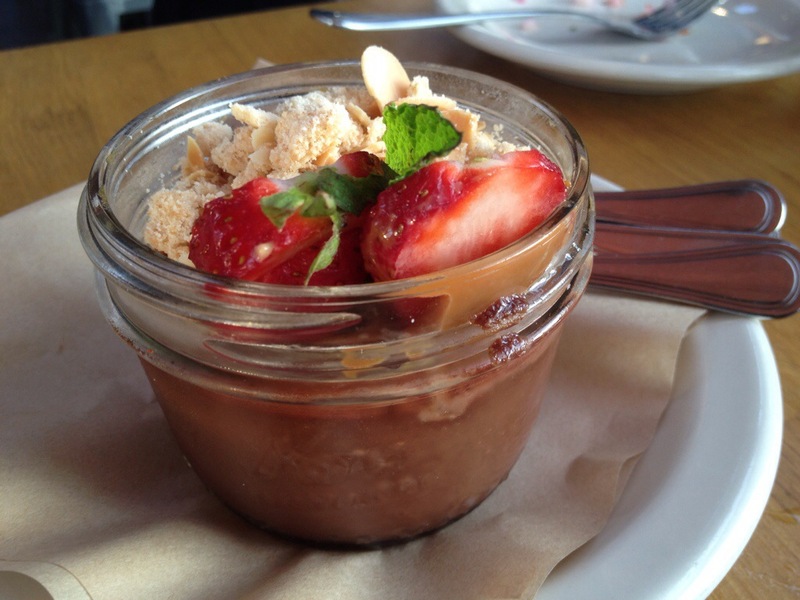 It was topped with graham cracker crumbs and strawberries. The chocolate had added flavors of cinnamon and cayenne which was nice. I thought this dessert was much better. I was full, but managed to have two bites. I really enjoyed our evening at El Techo. It’s a great place to hang out with friends especially on a nice day. The views from the rooftop are amazing as well.